Whoever goes out at night and looks up at the sky is often disappointed, above all while living in a city. As a result of artificial light, the night sky has become brighter, so much so that we can often no longer see the stars. Such an issue is especially unnerving, since so many people still look up at the stars for context in life and to feed imaginations. With ever-increasing urbanization, especially in the western world, fewer and fewer people are able to see the stars in a dark sky. When speaking of light pollution, we, of course, don’t mean that the light itself is dirty. Rather light floods the landscapes of our world to drown out the beauty of a dark sky. The result is a night sky that continues with time to disappear before our eyes and is almost impossible to see in a large city. The problem is widespread, from Beijing to Boston. More and more areas for living, industry, and street lighting have ensured in the last few decades, that artificial light-sources increase. Not only stars, but also distant nebulae or even the Milky Way are becoming even more difficult to recognize. The same applies to asteroids, which pass by the Earth at close range! Additionally, our ability to see the night sky is not the only side-effect of increasing light pollution. 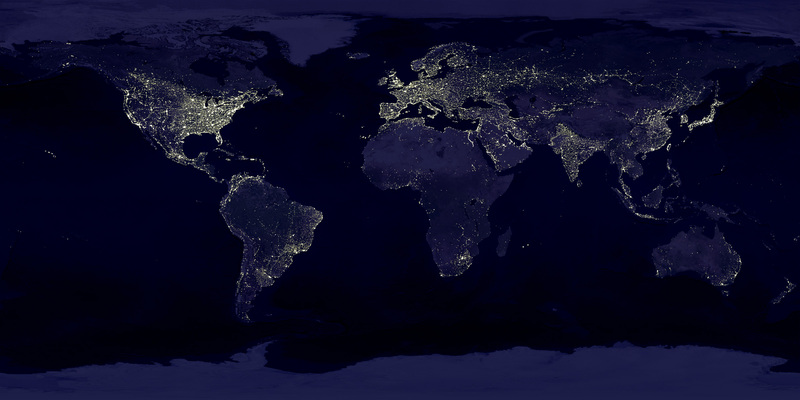 Ecosystems around the world and animals are affected by light pollution. The day and night rhythms of human and animal alike are being influenced by unnatural lighting. Many associations, clubs and other groups wish to be the counterweight to increasing light pollution. As a result, more and more star parks or dark parks are being founded on a yearly basis. Each one shares the goal of using astronomy to fight back against light pollution. The dark parks feature strict rules in regards to lighting, such as certain lighting fixtures that don’t shine upwards, and rather downwards while using warm light as opposed to blue light. In the end, we can do something about light pollution. We can write our city council to petition for better street lighting as a first step! Then we can still go outside to enjoy that blanket of stars we all hold so dearly.